Most of the time when you get a present, you get to unwrap it. 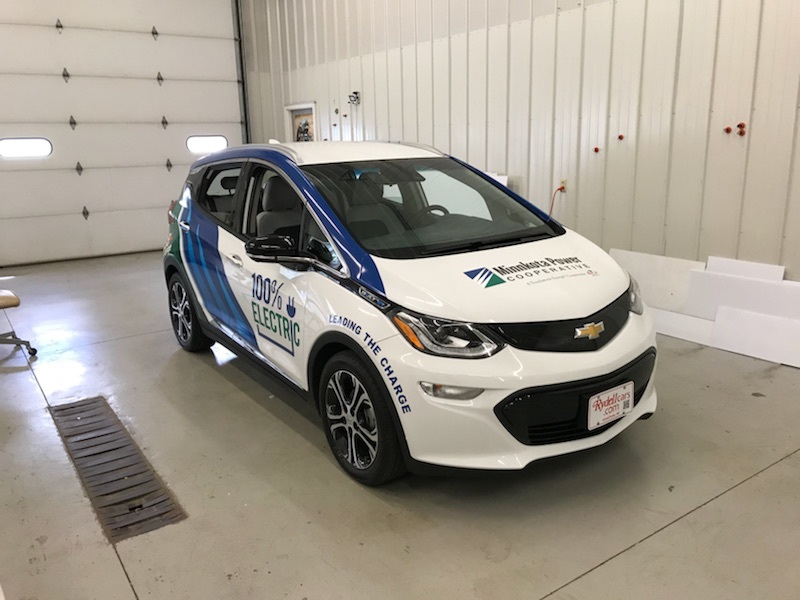 In the case of Minnkota Power Cooperative’s 2018 Chevy Bolt, it’s getting wrapped up before we take it home. 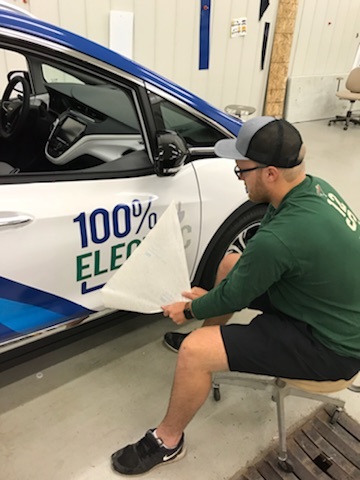 We captured the process of covering the car with information and graphics to help spark electric vehicle conversations with our community members. 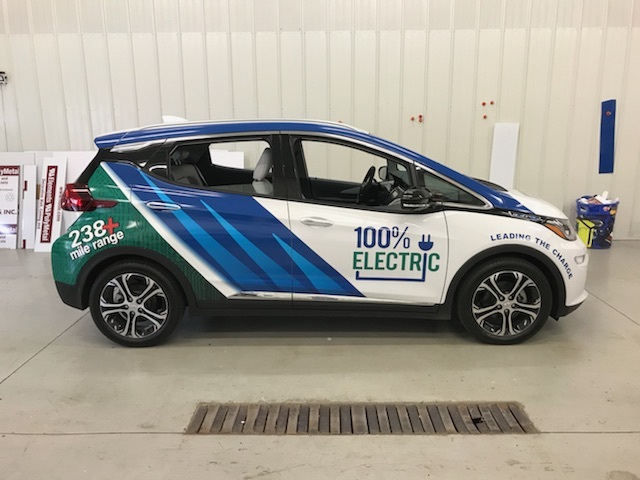 A big thank you to Custom Stripes of East Grand Forks, Minn., for helping us make the Bolt our own. We can’t wait to drive it around the Minnkota region! This is what the Bolt looked like pre-wrap. It's a beautiful car, but we wanted to kick it up a notch. A lot of detail and precision goes into the wrapping process. 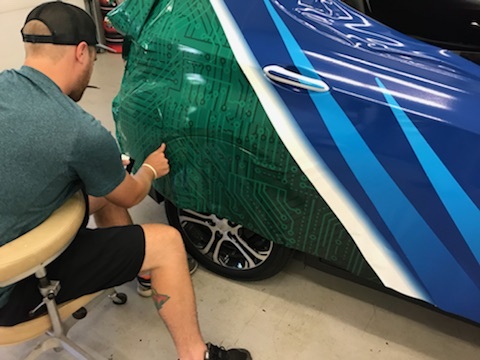 The Bolt was in good hands with the talented team at Custom Stripes. 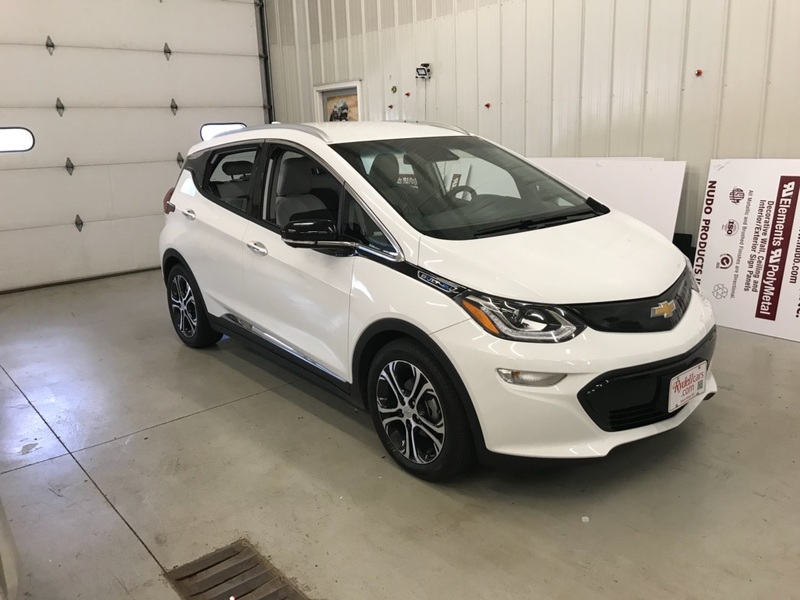 The slow peel reveals what makes the Chevy Bolt so unique in our region. And with that, a gorgeous new exterior emerges, ready to visit communities all over the Minnkota Power service area!